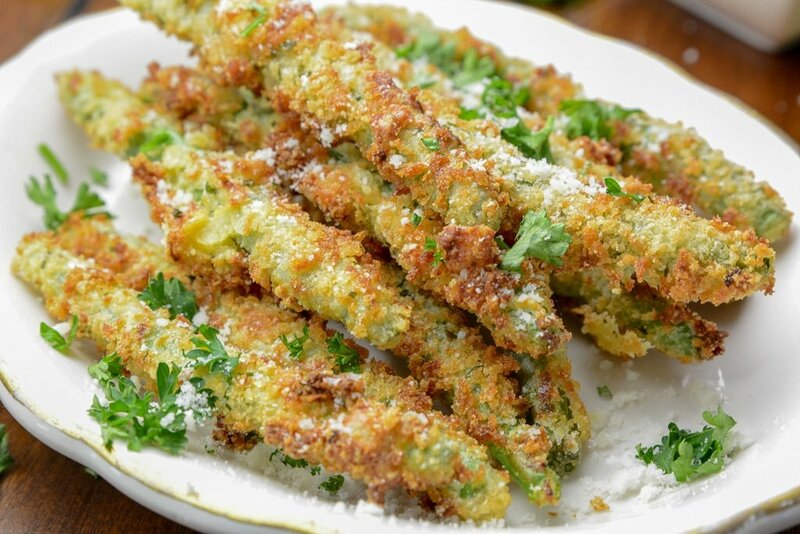 Air Fryer Garlic and Parmesan Green Bean Fries are the perfect snack to enjoy as you are cheering on your favorite sports team, at a party, or as a weeknight treat. 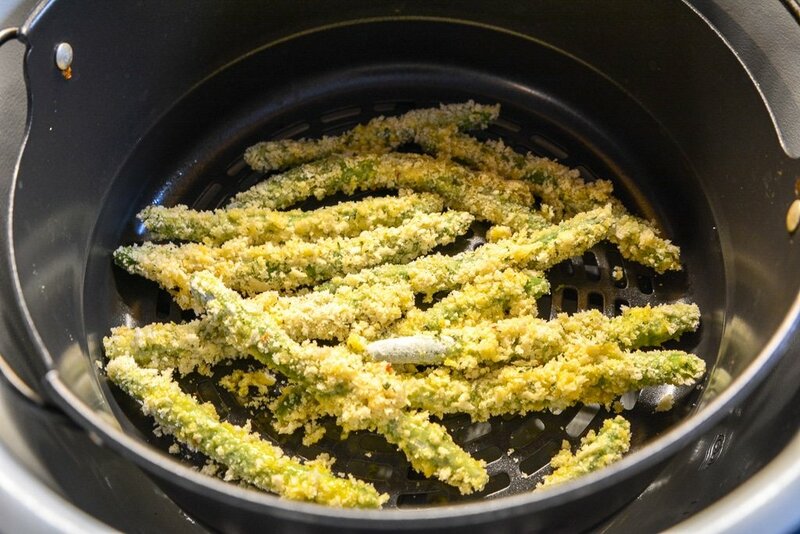 With a handful of ingredients, you can whip up a batch of these air fryer green bean fries in a hurry! Pair with your favorite dipping sauce and dive in. I have always seen fried green beans on the menus at restaurants but never felt like trying them. We are snowed in right now, and I got the craving for something crunchy and savory. I thought now is the perfect time to give a green bean fry a try! I got to work with garlic, parmesan, and panko bread crumbs, and magic happened. These green bean fries blew me out of the water. I dipped mine in a sriracha mayo, but you could eat plain, use ranch, or whatever favorite dipping sauce you like. The Air Fryer offers a nice crunchy texture that gives it that fried taste, without the added oil. I almost feel like I didn’t make enough, they were gobbled right up! You can use your Ninja Foodi on the crisping lid, or feel free to cook these in the oven. I find the Air Fryer or Ninja Foodi gives it a more ‘fried’ texture over the oven, but in a pinch, you can use your oven. 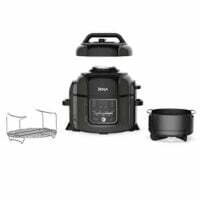 When you use an air fryer you know the foods cook from a really high heat air that circulates within the device. You need to ensure that your green beans do not overlap or touch, so the hot air can circulate around every area of the bean. 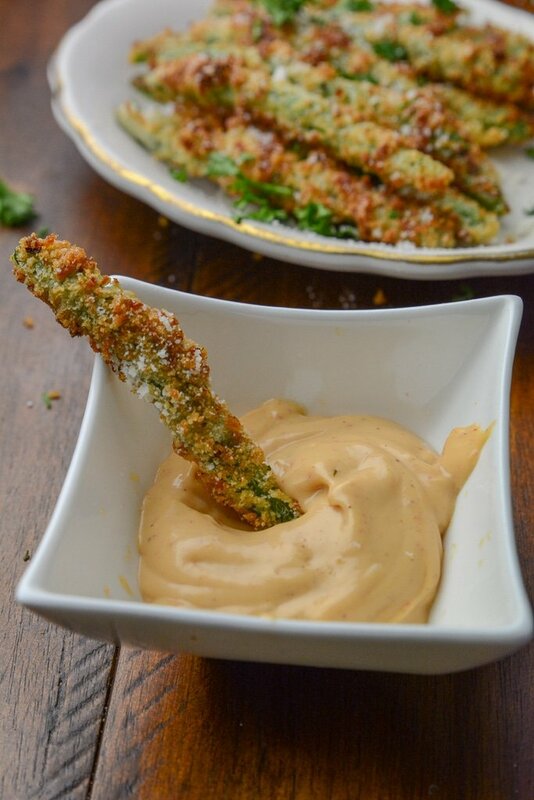 Doing this will allow you to have a crispy green bean fry all around. If your beans overlap you will find inconsistency in texture. The areas that touch can become soggy and not get fully cooked. My biggest tip is to make sure you batch cook, so it is done properly. Do you need More Ninja Foodi Recipes? Check out My Ninja Foodi Taco Pie, Or Blooming Onion, or Sparkles to Sprinkles Zucchini Chips. 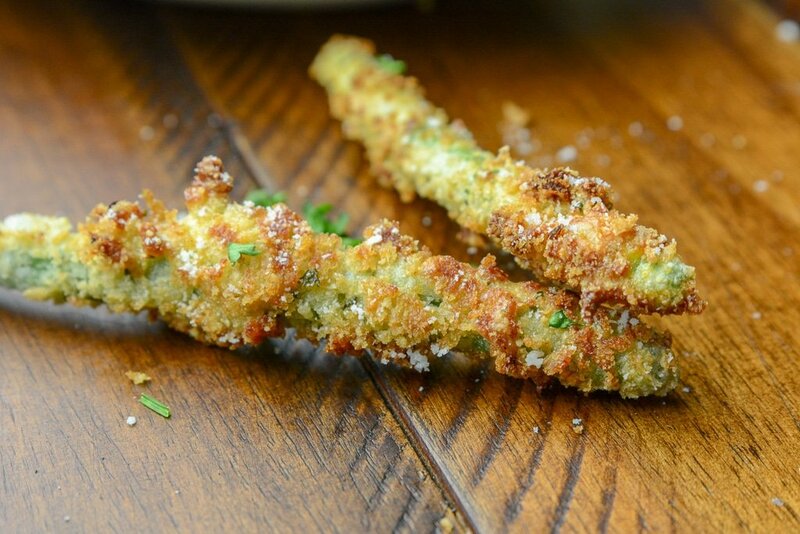 Air Fryer Garlic and Parmesan Green Bean Fries are the perfect snack to enjoy as you are cheering on your favorite sports team, at a party, or as a weeknight treat. With a handful of ingredients, you can whip up a batch of these air fryer green bean fries in a hurry! 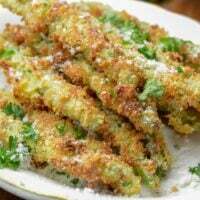 after dipping the beans in eggs Dip green beans in panko mix coat the green beans well. Place in air fryer on 390 for 5 minutes or until golden brown.